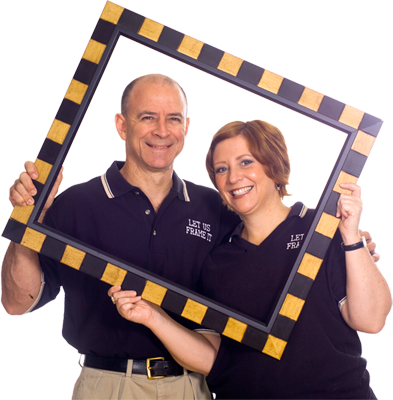 We are a husband and wife team, who love what we do! 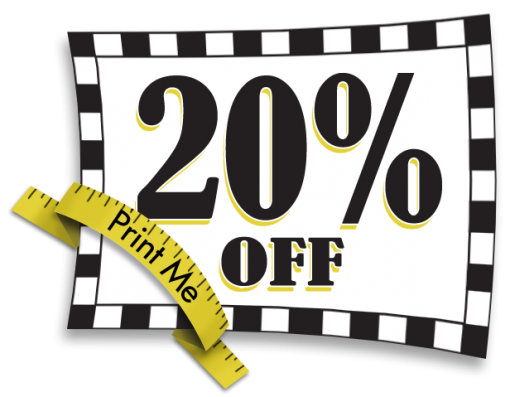 Print this coupon and receive 20% off! We also provide free pick-up and delivery in the downtown area! Contact us today for more information! 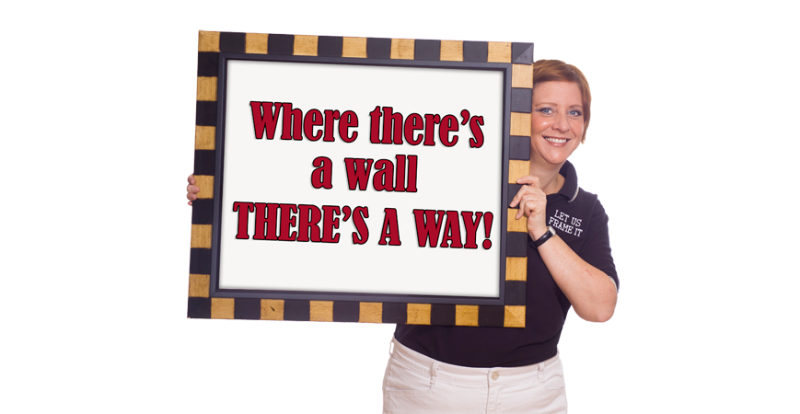 Where there's a wall, there's a way! 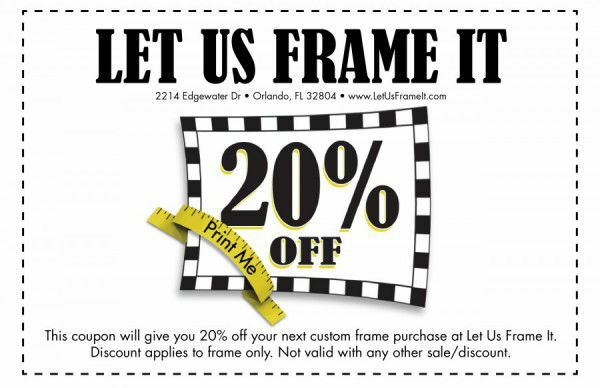 Let Us Frame It is a family run business specializing in custom picture framing in Orlando, FL. 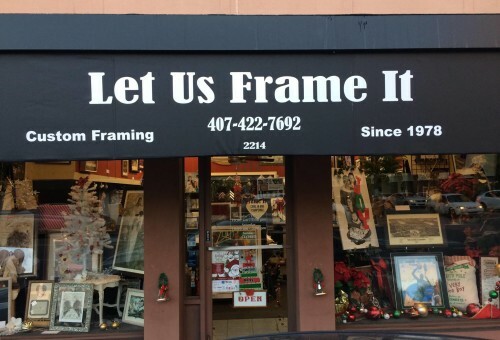 We are a full on-site framing service with over 5000 unique molding frames to choose from and will custom make your frame, but we also have a supply of ready-made frames for you to choose from. We are skilled in the latest techniques and materials to protect your artwork or family heirlooms for a lifetime.